A recent survey of real estate agents has confirmed that there are certain things a seller should avoid if they are trying to get their home sold for the best price in the lease amount of time. The results of this survey are no surprise to real estate agents, but sellers need to understand that Eliminating as many hurdles as possible to the sale of your home will help you achieve your best possible selling price! Toronto and GTA home prices are climbing but Buyers are getting even more demanding. There are homes in our area that just sit on the market and expire - Don't be one of those homes. Do your research in advance to get your maximum return. 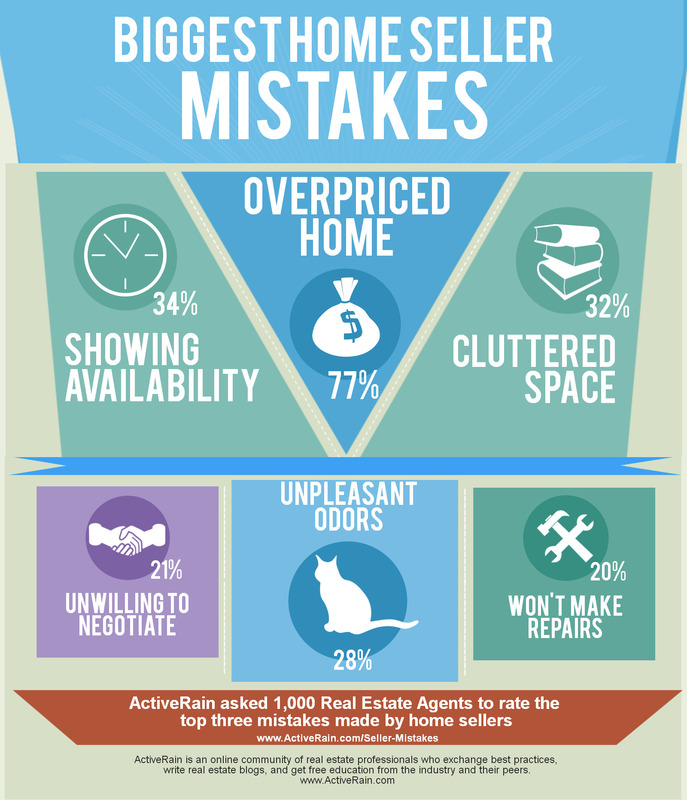 Biggest Home Seller Mistakes Full Report Results - Call us today. We Don’t Just List Your Home – We Show Case It!